Either based in the barn or outside in the paddock archery can take place in all weathers at all times of year. Progression is easily made in very little time leading to some competitive fun for all. 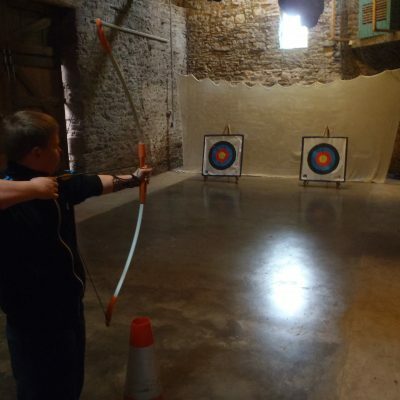 Pick up a bow and arrow and let out your inner Robin Hood! Archery sessions typically last for 1-2 hours and are often linked in with other on site activities. Typically a group of up to 12 works well.